Multi-purpose two component, solvent free, low viscosity epoxy coating for use as a primer, one-coat DPM and waterproof coating prior to the application of ceramic tiles or natural stones on walls and floors, internally and externally. Ideal for raised access floors, wet rooms, ground floor slabs, and swimming pools. Use as a DPM on concrete up to 98% RH and anhydrite up to 87% RH. 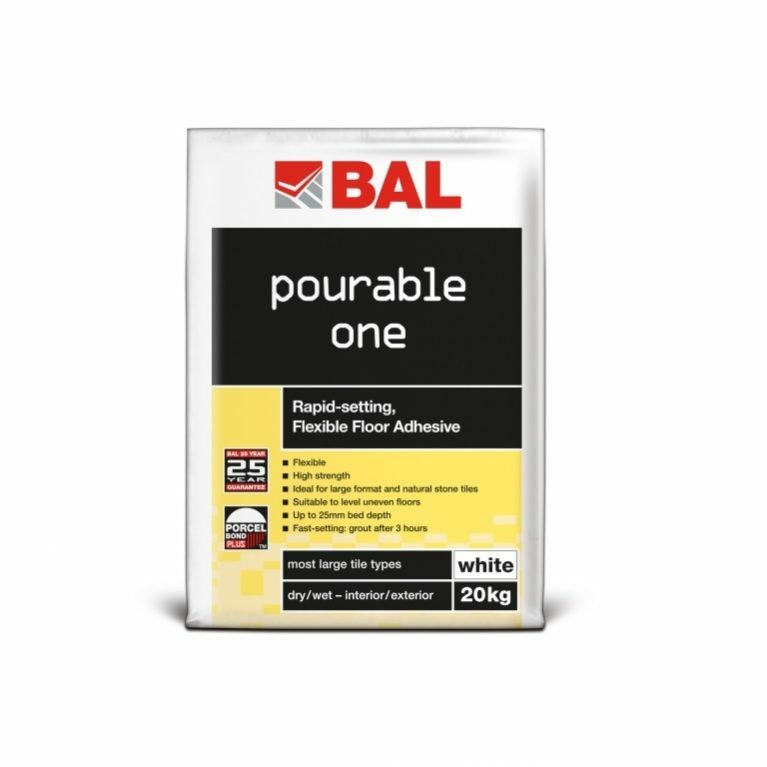 Can be used as a primer to aid adhesion to screeds, masonry, steel and other surfaces. 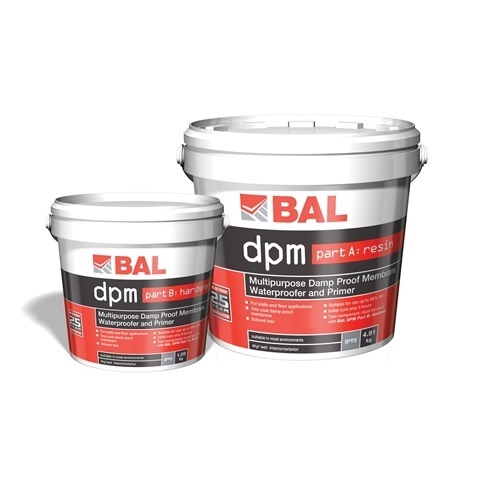 Resistant to grease, oil, aqueous salt solutions and hydrostatic pressure, new BAL DPM is an easy to use all-in-one product for various applications and environments that protects tiles from residual construction moisture and continual rising vapour from the earth. Perfect for new build projects or refurbishments where a structural DPM is not present or ineffective. What’s more it can be used a a two-coat waterproofer on walls and floors, and as a primer when sand-blinded on difficult substrates. 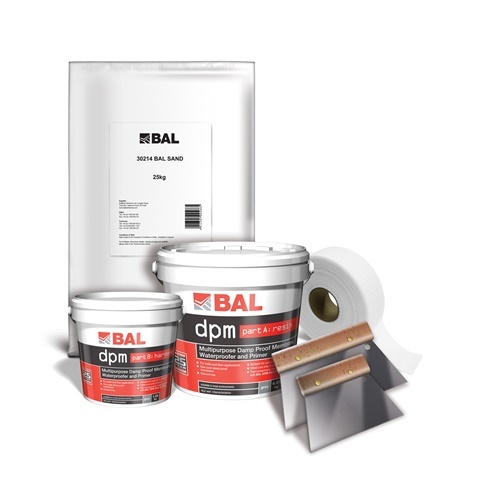 BAL DPM comes with BAL’s written 25 year guarantee. 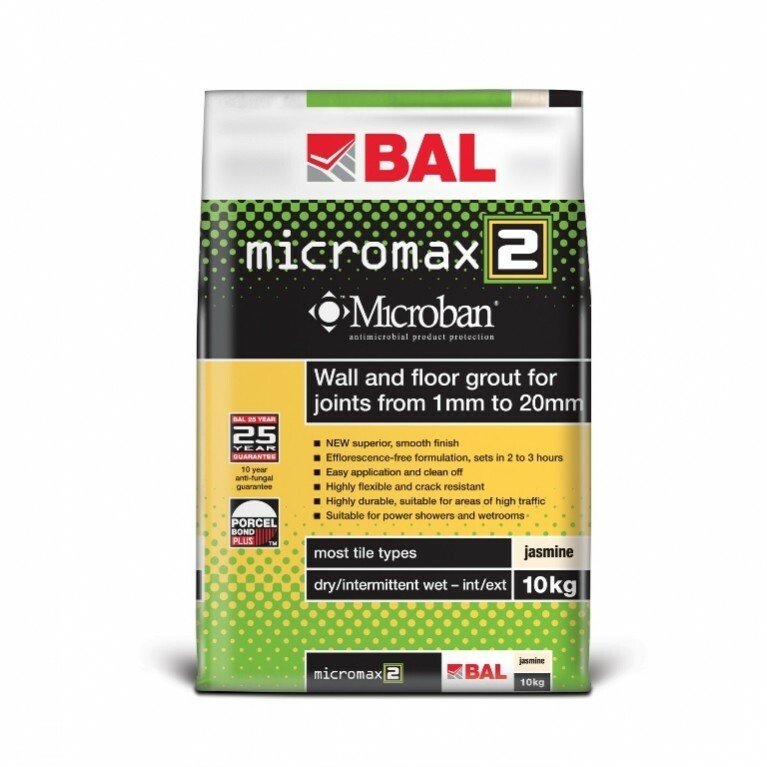 Waterproof coating – Sand blinding required when tiling. Composition: Epoxy resin paste + epoxy hardener. Key features: Chemical-resistant. Solvent free. Waterproof. Durable and abrasion-resistant. 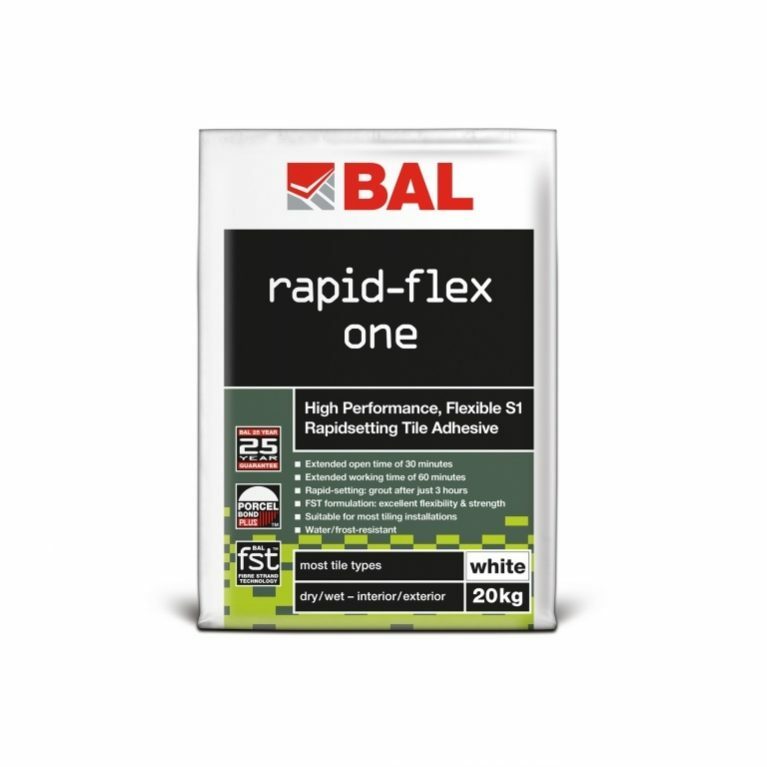 Have you used BAL in your recent tiling project? We’d love to hear from you!